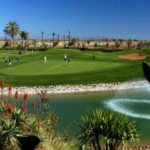 The designer wanted to offer players a difficult and very technical course and has succeeded by offering a spectacular, undulating course with slopes and dog legs. 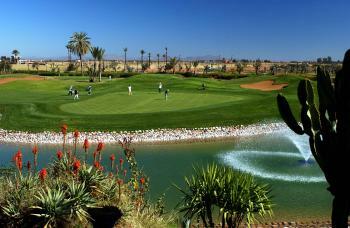 Each hole has traps, it is a course dotted with challenges and with huge bunkers which defend every green. There are broad fairways that evoke a U.S. course and red earth that defines the beauty and originality of this course. 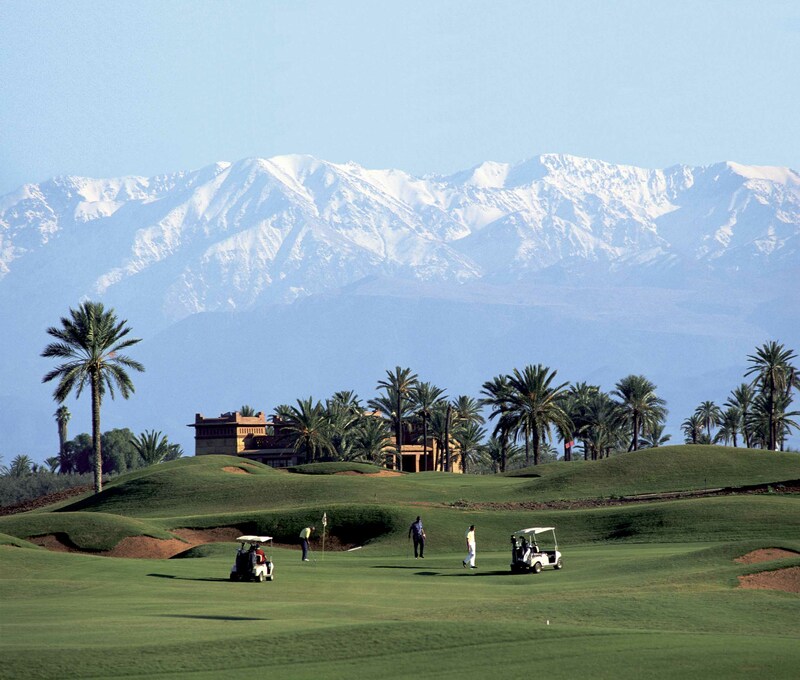 Moroccan courses are renowned for their visual appeal; Amelkis is eye-catching and exciting to play. 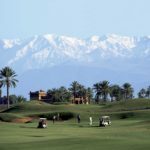 The course is heavily bunkered with expansive, undulating fairways; to say nothing of the lakes, fountains and the unique waste bunkers, created from crushed rock whose colour complements the landscape. The large greens (some elevated) may be relatively easy to find, but be too far adrift and you will need divine guidance with the putter meaning three or even four putts will not be unusual in our experience. 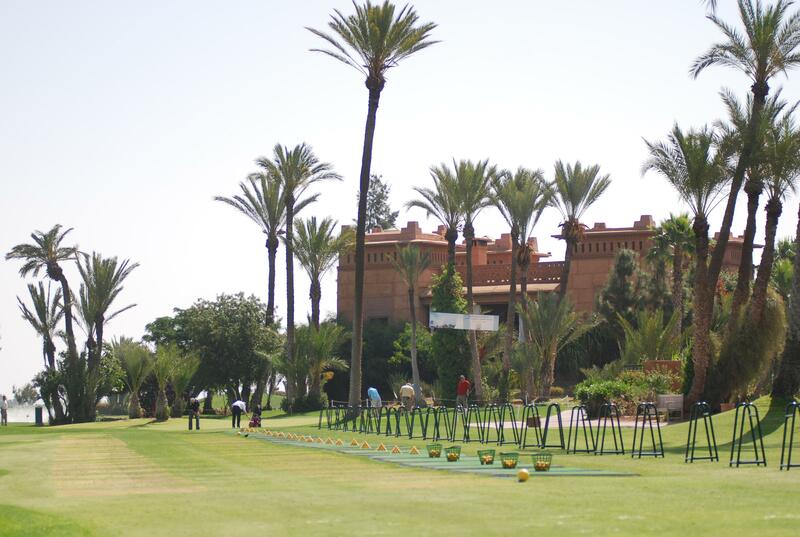 Its fairways are lined with luxurious villas, century old palm trees, groves of palms and giant papyrus reeds. 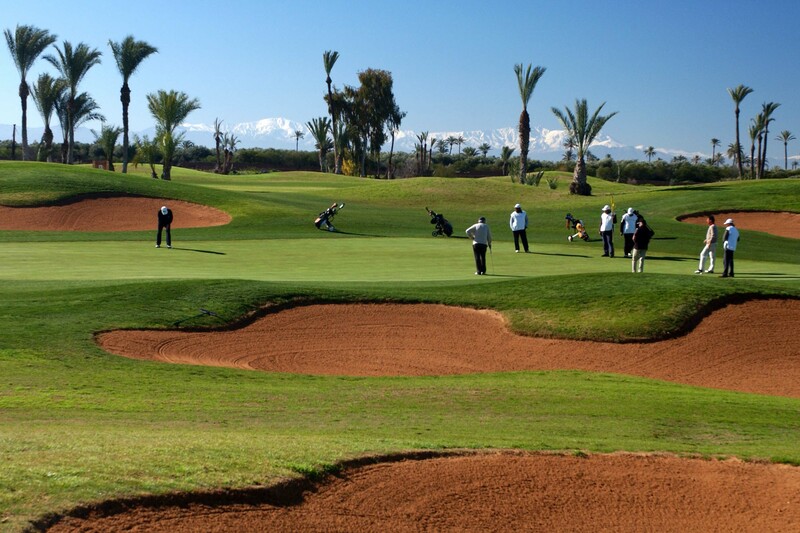 Amelkis Golf Club has a splendid Kasbah style clubhouse with a terrace overlooking the course and the Atlas. 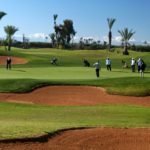 As one of the more established golf courses Amelkis is also surrounded by a number of beautiful luxury villas, some of which are available to our clients. There are currently 27 holes at Amelkis with another 9 to be added shortly so availability of tee times is not going to be an issue. 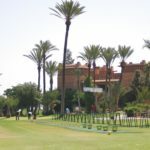 It’s a pretty course and most of the villas which surround one side of it are not in play!! If you are staying at Amelkis you should definitely play the course once and the practice area could also be useful when things go wrong! The course hosts an LPGA tournament most years so is well maintained.